Artisan Tree Works combines cutting edge arboricultural techniques with the ethics of traditional craftsmanship. We emphasize quality over high volume production. This allows us to give the time and energy to each individual tree that we work on and each individual client we work with. 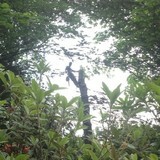 Every job is completed and overseen by the arborist that bid the job and prescribed the work. This ensures a continuity from the first walk through to when the last leaf is raked up. We have a deep commitment to our urban environment and our client's needs. We take a holistic approach to tree care emphasizing tree preservation and organic treatments as well as precise and efficient tree removal when it is necessary. Founded in 1974 by Andy Smith. We offer a wide range of tree services for Central Oregon, primarily in Sunriver and Bend. Andy is a member of the International Society of Arboriculture, the Pacific Northwest Chapter of the ISA, and a Certified Arborist (#PN0854). Arbor Tree Care, located in Bend Oregon, offers tree removal service along with tree trimming, stump removal, tree maintenance, lot clearing for residential and commercial properties, and logging services when needed. We take pride in responding quickly to storm and snow damage emergencies. If you've only just become aware that you need a tree removal service, get in touch with us and we will send someone over right away. 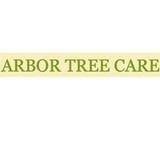 At Arbor Tree Care, we offer excellent tree maintenance in Bend, Redmond, and all of Central Oregon residents. Safety is our top priority. We are a residential and commercial landscape spray business. We focus on treating disease, weed, and pest issues in the yard. We also treat moss in your landscape and on the driveways and roofs. Our Homeshield program will treat the perimeter and interior of your home for ants, spiders, and other crawling insects. Are you concerned about the health of the trees on your Black Butte Ranch property? Tree service professionals can help with pruning, cable bracing and other residential tree care services in your Black Butte Ranch, OR backyard. Your Black Butte Ranch, OR tree service professional or arborist might work in conjunction with another landscape professional to create a seamless landscape design. Here are some related professionals and vendors to complement the work of tree services: Landscape Contractors, Landscape Architects & Landscape Designers, Garden & Landscape Supplies. Find tree service professionals on Houzz. Look in the Professionals section under Black Butte Ranch, OR tree services. You can look through portfolios and read reviews to see what past tree care clients have to say.